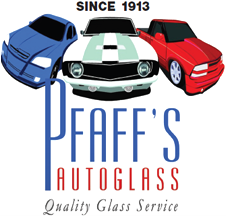 Ensure your company cars, trucks, and vans are well-maintained by working with Pfaff's Auto Glass Inc. We provide commercial vehicle glass services in Winston-Salem, NC, and the surrounding areas. Whether you have an entire fleet or just a few vehicles to get the job done, our shop offers all the commercial auto glass services you need to keep your drivers safe. When you need commercial windshield replacement or repair, give us a call for affordable labor and products with effective results. In addition to company cars and trucks, our technicians also provide services for heavy-duty construction equipment. Learn more about our construction vehicle glass repair and replacement work by reaching out to our team. We take pride in offering full-service repair and replacement for auto glass on vehicles of all shapes and sizes. No matter if your vehicle is foreign or domestic, we can keep its glass in top condition for you. Your company needs reliable vehicles to keep your business moving forward. Countless business owners throughout the state count on our commercial auto glass shop to meet their repair and replacement needs. Since 1913, our shop has worked on vehicles of all makes and models, including big rigs. You can count on our technicians to take good care of your vehicles. Since your success is our success, we strive to exceed your expectations with our professionalism, efficiency, and top-notch results. Protect your company's drivers and good reputations by ensuring your vehicles are safe for the road. Even small cracks and chips pose a safety hazard and should be addressed by a commercial auto glass technician right away. Cracked and chipped vehicles inhibit the driver's vision and are much more likely to shatter in an accident. Browse our site to learn more about our glass repair services. If the vehicle's windshield is damaged beyond repair, then it is time to replace. Our commercial windshield replacement work is guaranteed against stress breaks for 90 days after installation. We also use strong, durable glass that is comparable in quality to your existing commercial auto glass. Explore our website for more information on windshield replacement. Construction vehicles work tough jobs, so they need glass that is just as tough. When your construction vehicle glass is damaged, you need to get it fixed as soon as possible to make your equipment safe to operate again. Reach out to us for fast commercial vehicle glass repair and replacement that gets the job done right. 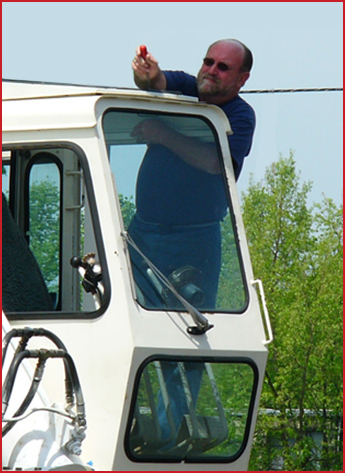 Contact our commercial vehicle glass services technicians to discuss your company's repair and replacement need. We are proud to serve businesses in Winston-Salem, Greensboro, Oak Ridge, Summerfield, Mebane, and Burlington, North Carolina, as well as the surrounding areas.